Bela's lung tumor was diagnosed via x-ray two months ago. It was caught early and she has been on steroids (Prednisolone) ever since. Because steroids can weaken the immune system, she is also on Doxycycline as a preventative measure. Her early symptoms were exactly like a respiratory infection. Slightly heavy breathing and a wheezy respiratory sound when she breathed. However, when we attempted to treat with antibiotics, they were not as effective as they should have been. In Bela's case, at first they started working, but by the third week of treatment, the symptoms had all returned and the antibiotics weren't working at all. That was when we did an x-ray and discovered the tumor. What likely had happened was that the tumor had triggered a secondary infection. The antibiotics treated that secondary infection, but as time went on, the tumor itself started causing symptoms and the antibiotics were useless against the tumor. Steroids, however, have been working pretty well for Bela. They are not a cure, but they can help relieve symptoms and they can also act to shrink the tumor or perhaps slow its growth. After about two weeks on the steroids, Bela stopped wheezing, and she was acting pretty normally for a while. Unfortunately, over time, Bela is gradually getting worse. At one point a few weeks ago, the wheezing returned. It stopped again after about a week. But her appetite is poor and I have to make sure to supplement with lots of soft foods because she is rejecting hard foods. So she gets lots of baby food, yogurt, Ensure, yogurt, and the like. But despite this supplementation, she is becoming quite thin, especially around the middle. Her breathing has gotten very heavy as well. Every breath causes her entire body to rock in time with her respiration. She has periods of activity still, but is tired more often and doesn't spend as much time running around and playing as she used to. At the top of this article is a video of Bela's breathing. The squeak noises you may hear do not come from Bela, but from a some finches in the background. Bela is not currently making any respiratory sounds. If you see breathing like this in one of your rats, even without respiratory sounds, it is a clue that something is definitely wrong. It may not be a tumor as is the case with Bela, but you should have them checked out. If antibiotics fail to help with the symptoms, you might want to consider an x-ray to see if there is something else going on. 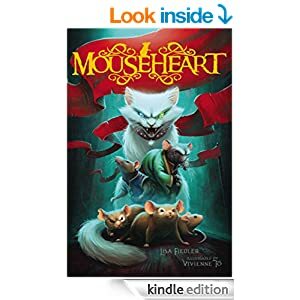 I noticed this book, Mouseheart, is featured on Amazon as today's Kids' Kindle Daily Deal, on sale for $1.99 (Kindle edition only) and thought I would share it. I have not read this book and so cannot comment on its quality, but it looks like something my youngest son might enjoy, and I always like to seek out books that feature rats, preferably in a positive way. To tell the truth, I am unsure how the rats will be portrayed in this book. From the reviews, I am guessing some are good and some are evil, but all may not be as it seems. It seems to be targeted towards the pre-teen age group (8-12). However, some parents have complained in the reviews about violent content. 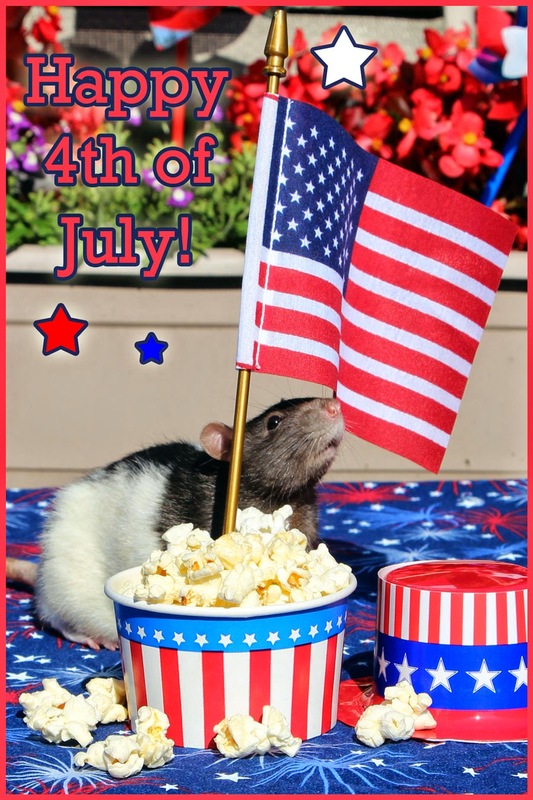 Article: 'Fancy Rat' Pet Owners Aim to Quash 'Stigma of Being a Rat' from DNAinfo Chicago. 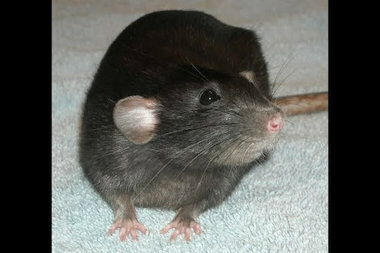 So nice to see more positive press for rats, especially in my neck of the woods - the Chicago area. Be sure to check out the link above, which includes a video and a sound recording from a radio program. Although this unusual form of catering is largely for fun, there is also a mildly serious point to it – an attempt to rehabilitate the image of a much-maligned creature. 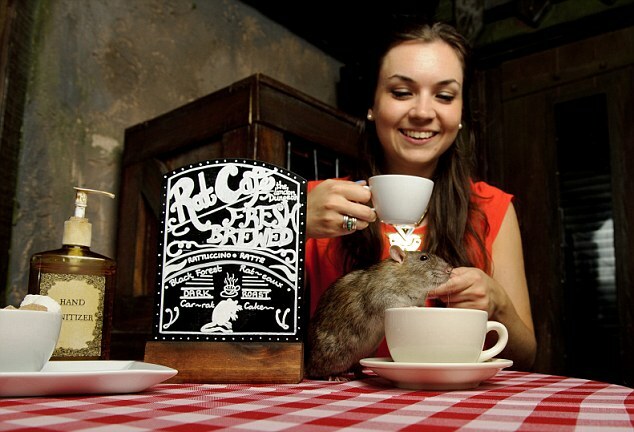 ‘Rats have been tarnished with an undeserved reputation throughout history – from the Black Death of the Middle Ages to the great stink of Victorian times,’ says Hywel Mathias of London Dungeon.